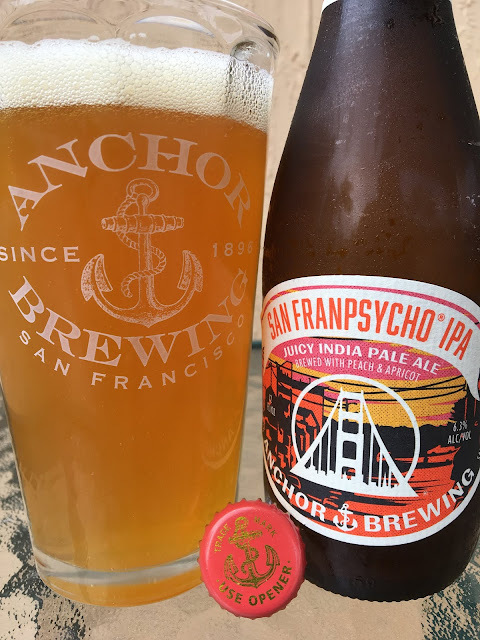 Anchor Brewing recently collaborated with local clothing and lifestyle brand San Franpsycho to create San Franpsycho IPA. This "Juicy India Pale Ale" is brewed with peaches and apricots. 6.3% alcohol. Super juicy and fruity aroma, you can really smell both peaches and apricots. Flavors also full of peaches, tangy, nicely bitter, and a little dry. Definitely delivered on the fruity promises. Interesting and a winner!